At Cirrus Visual, we believe in utilizing our resources to help serve our community. We love to support local non-profit events, fundraisers, arts and performances. We want to sponsor your local non-profit efforts by providing 50 FREE 12x18 Posters to help promote your performances and events. • You must submit a print ready PDF which will print as-is, there will be no proof or changes. 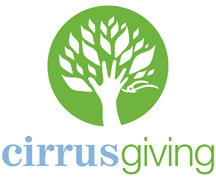 Cirrus can provide design services at our discounted non-profit rate! Click here to ORDER 50 FREE POSTERS TODAY! Cirrus Visual reserves the right to decline this promotion based on content or event purposes which do not align with our company values. Cirrus Visual listing of printing, graphic design and marketing services.